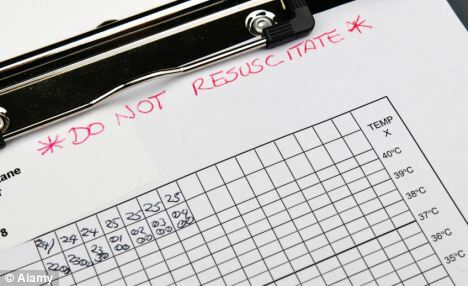 In an article published online this week in the Journal of Medical Ethics, three US-based researchers discuss the results of a survey of neonatologists’ opinions regarding Do Not Attempt Resuscitation (DNAR) orders. Unilateral DNAR decisions – decisions about resuscitation made by doctors without patent or surrogate consent – are highly controversial. Some see them as usurping patient autonomy. The authors of the article are sympathetic to the view that unilateral DNAR orders are in certain circumstances ethically permissible. What’s more, they found that most American pediatricians agree with them. The authors emailed an anonymous survey to 3000 members of the American Society of Pediatrics Section of Perinatal Medicine, and had a response rate of 16% (490 respondents). Of those who responded, 77% said it was ethically permissible to issue a unilateral DNAR order where doctors were treating an infant for whom survival was felt impossible. 61% said it was ethically permissible when survival was felt ‘unlikely’. Interestingly, only 51% said they would enter the order if they found themselves in such a situation. The authors attempted to explain the discrepancy between judgements of ethical permissibility and personal practice. The physicians had a similar attitude toward patients with a poor neurological prognosis. 57% said a unilateral DNAR would be permissible if no curative treatment was available.